Notably, the NDA rally will be held exactly a month after Congress' "Jan Akanksha Rally", which will be addressed by Rahul Gandhi. PATNA: Prime Minister Narendra Modi may share the stage with Bihar Chief Minister Nitish Kumar and Union minister Ram Vilas Paswan here on March 3 at a rally where the NDA will sound the bugle for the upcoming Lok Sabha polls in the state. The announcement was made Sunday at a joint press conference by the JD(U), the BJP and the LJP. 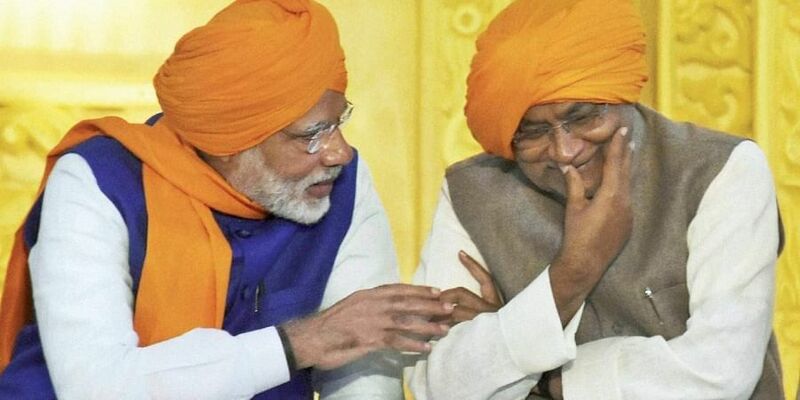 Kumar who heads the JD(U) and Paswan who is the LJP chief, have given their consent for attending the rally, while an invitation was being sent to Modi, the NDA leaders said. It will be his first public meeting in Bihar after becoming the party's national president. Asked whether their rally was aimed at giving a "reply" to Gandhi, the NDA leaders said they were not bothered about the Congress president. They said that BJP president Amit Shah will also be requested to attend the rally, where workers of all the three NDA constituents would gather from across the state. They reiterated that candidates to be fielded by the respective NDA constituents would be finalised in due course and said that the date of March 3 was agreed upon since the parties wanted to hold one such public meeting before the poll schedule was announced. The NDA rally could be the first occasion for Modi and Kumar to share the stage at a political function in Bihar. Kumar had cancelled a dinner hosted for BJP leaders a decade ago when advertisements appeared in local newspapers wherein he was shown holding hands with Modi, the then chief minister of Gujarat. Kumar snapped 17-year-old ties with the BJP in 2013 when it became amply clear that the party would fight the Lok Sabha polls with Modi as its face. Kumar, however, returned to the NDA in 2017 after a short-lived alliance with arch-rival Lalu Prasad's RJD.